Singapore Japan Food Blog : Dairy and Cream: Social Media Fiesta 2013 : Cook for your loved ones! 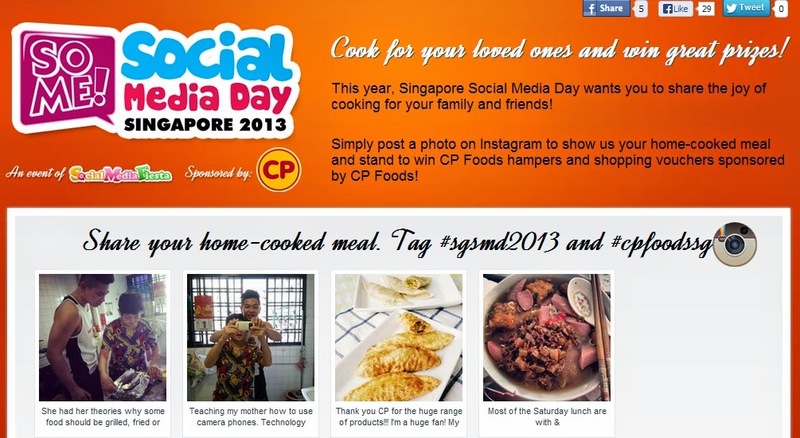 Social Media Fiesta 2013 : Cook for your loved ones! In conjunction with Singapore Social Media Day 2013, omy.sg has partnered with premium food brand, CP Food to promote home cooking through social media. The objective is to spread the message of family and social bonding. To celebrate this campaign, I have made several dishes for my entire big family using the products that CP Food has generously provided. And for the month of July, I'll be posting some simple recipes which even you can whip up at home for your loved ones! 3) Mash the boiled eggs. 4) Dunk everything (potato, eggs, cucumbers, corn, carrots) and mayonnaise and mix with all force. 5) Season with salt (I skipped black pepper and ham as I did not have them) and chill till ready to serve. 7) Assemble the chicken with the potato salad. Plate with tomato, lettuce and cucumber as you like. Don't you think these recipes are so easy to make? If you don't have microwave, fear not! CP packages can be heated by steaming. What's more, the ingredients are easy to find and minimal cooking involved so that you don't have to worry about scrubbing an oily kitchen. For Part 2 of this cooking series, click here!